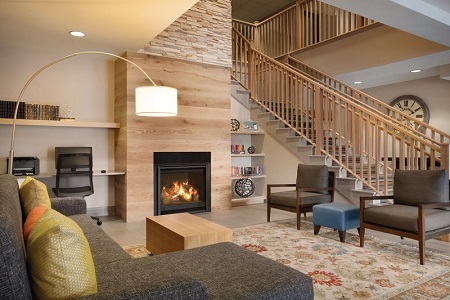 Conveniently located off I-694 and I-94, the Country Inn & Suites® by Radisson, Brooklyn Center, MN puts you less than 10 miles from the National Sports Center and near entertainment complexes like the U.S. Bank Stadium, Target Field and Target Center. 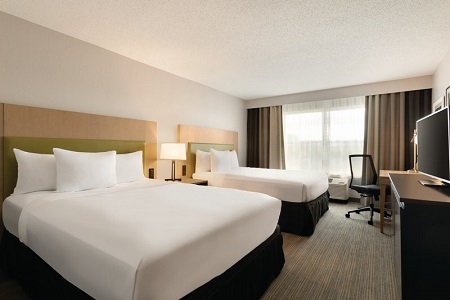 After a busy day in the Brooklyn Park area, check your family or team into our rooms or suites equipped with free Wi-Fi and Serta Elite® pillowtop mattresses. When you wake each day, visit the cheerful dining area for coffee, waffles, fruit juice and eggs at our free, hot breakfast. 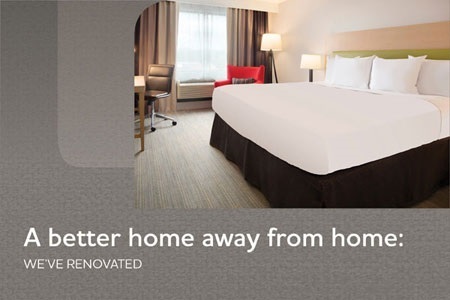 Please note: Our hotel completed a multi-million-dollar renovation of all guest rooms and public areas in June 2018. At our complimentary, hot breakfast, pile your plate with morning favorites like Belgian waffles, spicy sausage, fresh fruit, tangy yogurt and hard-boiled eggs. For lunch or dinner, head out to nearby restaurants like Lemon Grass Thai Cuisine or Travail Kitchen & Amusements. National Sports Center – The world's largest amateur sports and meeting facility sits only 10 miles northeast of our hotel. The National Sports Center offers 600 acres of soccer fields, golf courses, ice arenas, a velodrome and more, drawing two million visitors each year. Minneapolis Riverfront – Stroll beside the Mississippi River or venture out onto the water in a paddleboat. The riverfront is full of restaurants, clubs, eclectic shops and outdoor fun, all just two miles east of our hotel. Target Center – Come see the NBA’s Minnesota Timberwolves or the WNBA’s Minnesota Lynx take the ball down the court in this massive arena, just eight miles south of the hotel. Throughout the year, the Target Center also hosts major performers like Elton John and welcomes events like the NCAA Women’s Volleyball Championship. With the National Sports Center just 10 miles from our hotel, the Country Inn & Suites is an ideal stop for sports teams and their sponsors. Our hotel is also close to major event venues such as the Earle Brown Heritage Center, Leopold’s Mississippi Gardens and the Edinburgh USA golf course, all ideal places to host a special event or wedding. 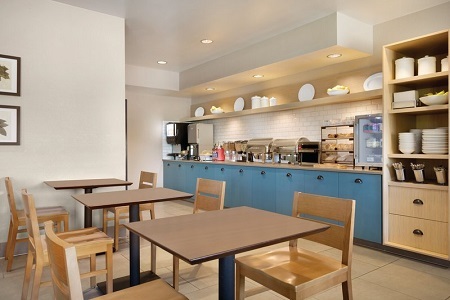 For smaller gatherings, our hotel can offer space for up to 25 guests in our breakfast area. If you are bringing a pet, please notify the hotel in order to secure your room arrangements. A one-time pet fee applies.